Apollo 18 is the story of a three-man mission to the moon. Set in 1974, the crew’s job is to place missile detectors on the lunar surface. However, as their mission progresses, the crew loses contact with Houston and then starts experiencing problems on the surface, both with themselves and their equipment. In the end, it’s up to one of the two-man surface crew to escape his infected partner and try to get home before he runs out of air… and before the creatures that infected his partner kill him too. The film stars Warren Christie (Alphas), Lloyd Owen (The Adventures of Young Indiana Jones), and Ryan Robbins (Sanctuary) as the three-man crew of Apollo 18. Two of them (Christie and Robbins) are pretty much best known for Syfy television serieses*, and while they’re capable actors, it’s pretty easy to tell that they’re more used to acting on the small screen. 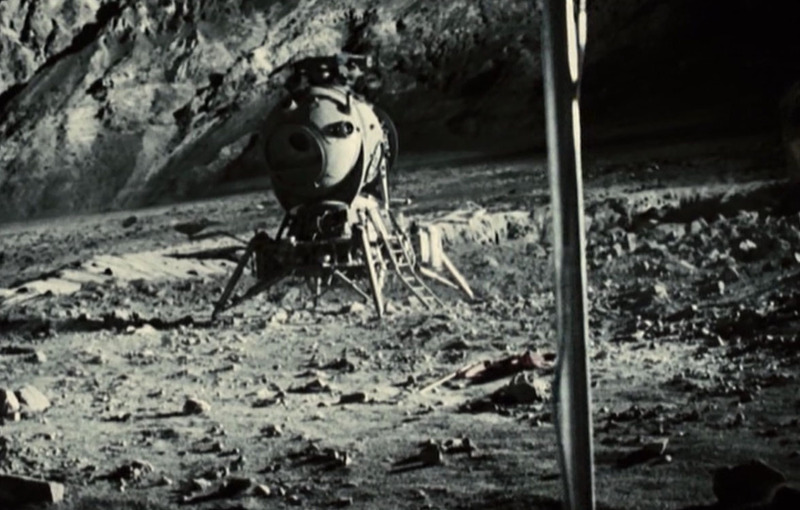 Of course, Apollo 18 makes the best use of that by being a found-footage film. It’s a little hard to believe some of the footage the astronauts captured — especially when one of them gets inside an abandoned Russian lander — but found footage plus horror usually equals success, and this was absolutely a horror film. Director Gonzalo López-Gallego put together a movie that, while brief (only 86 minutes), managed to instill the fear of infection and persecution. Plus, the ending — without giving away too much — is quite moving. When the film was first released, it was done with a viral campaign that made it look as though the Apollo 18 mission had really happened. It came out in September of 2011, so at that time it was easy to go on the internet and discover that it really was just a movie, but it was still a clever plan to drum up attention and interest. For a movie that cost $5 million to make, it grossed just over $25 million, so clearly it wasn’t unsuccessful. And I suppose having producer Timur Bekmambetov (Wanted, Night Watch) on board didn’t hurt. 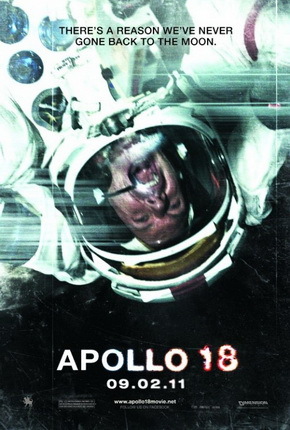 Though Apollo 18 received mostly negative reviews, and though it did have problems (mostly that, other than the space aspect, the general plot of the film really isn’t new and it’s pretty obvious how it’s going to end), I found it to be fairly enjoyable. It’s just under an hour and a half, and there are worse ways to spend that time. Plus, for a sci-fi geek like me, the fact that maybe — just maybe — something like this really could have happened was enough to keep me interested. Apollo 18 is available on Netflix. Note to Parents: This film contains violence, including some body horror, as well as adult language. It’s likely okay for older teens, although you should use your own best judgment when it comes to your children. * And why aren’t we allowed to call them “serii”, exactly?